Since 1967, non-profit Austin Recovery has provided effective, compassionate and affordable drug and alcohol rehab in Austin, Texas. Our transformational treatment model includes individual and small group counseling, experiential therapies, 12 step work and an evidence-based curriculum. 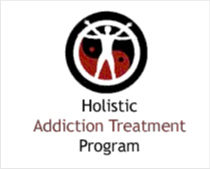 We provide medical detox to ensure a safe transition from dangerous substances under our Medical Director, boarded in psychiatry and addiction, 30- and 90-day residential treatment for both men and women, intensive outpatient, aftercare and an alumni association. Our innovative program Family House provides residential treatment for mothers WITH their children. These moms and kids benefit from both recovery services and parenting education, case management and a therapeutic daycare for the children. We offer the highest quality services with self-pay cash discount rates among the most affordable in the country, and also accept insurance. We also provide treatment for those without resources through state and public funding. Located in Northeast Austin, this 55,800-square-foot facility is the beginning of the journey for all our clients. Our Edith Royal Campus houses our Admissions Office, Detox, Men's and Women's Voyage (30 days), Family House (90+ days) and Austin Recovery’s Administration Offices. 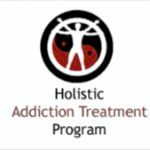 Clients in treatment participate in individual and group counseling, education about addiction processes, 12-Step programs, life skills classes, Musical Journey experiences and art therapy. Clients staying for long-term treatment (more than 30 days) focus on relapse prevention and creating a new life in recovery. If you are checking into Austin Recovery or bringing someone you love to Austin Recovery, please call Admissions and make an appointment at 512-697-8600 or 800-373-2081.